Does Your Family Need To Avoid Food Additives? Things are a little busy here at The Food Werewolf den with new additions to the family in the form of eight furry puppies… Of course this means not a lot is getting done but there’s oodles of cuteness and love to go around. Yay! This precious time shared with our furry kids and the changes in their lives with their new babies brings back memories of the sleep deprived days when our human kids were babies themselves. Whilst pondering how I managed to keep sane as a Mum with little kids and little sleep, I realised it really was so important for our family to have the right foods to eat so I could keep said sanity in check Now this may sound a little over the top, but rest assured dear readers, the additive free foods we fed our kids back then (and still do) really did make the difference between managing the stress and chaos of raising two young kids and all of us going berko. 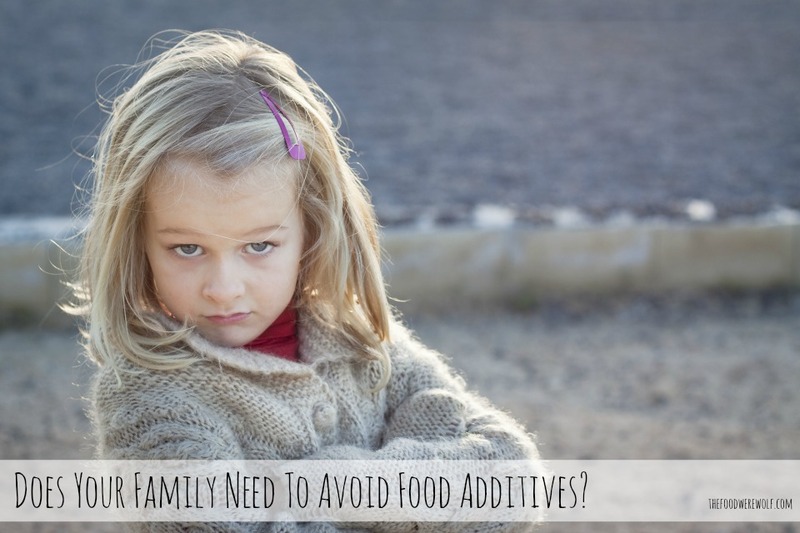 So how do you know if your family needs to go additive free? Kids are more susceptible to the effects of additives. Their pure little bodies aren’t designed to take on large amounts of food additives, especially artificial colourings and preservatives. 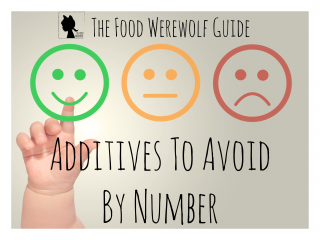 The result of too many additives can range from aggressive, hyperactive, defiant, over emotional and hard to handle behaviours to health problems such as upset stomachs/digestive problems, asthma and eczema. Now these symptoms may not always be hugely noticeable or severe, but no matter how sensitive your children are, eliminating food additives will help life become more calm and balanced. The results of an additive free lifestyle can vary in terms of how much change occurs, but the results are always positive! Things are easier to manage when there aren’t any extra variables in the mix so I urge you to give it a try and see the results for yourself – it’s a win-win situation! Tip #1 Start by looking at the foods you eat. How many additives are being consumed each day? What do your kids have for breakfast? What’s in their lunchbox for school lunches? What are your ‘go to’ snacks for the family? What sauces and condiments are in your pantry and fridge? 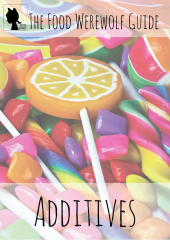 If you’re not sure whether your family eats food additives, check out my new mini eBook on additives with all the basic facts on additives and the common health and behavioural symptoms associated with food additives to help further highlight and identify just how food additives may be messing with your family’s life. 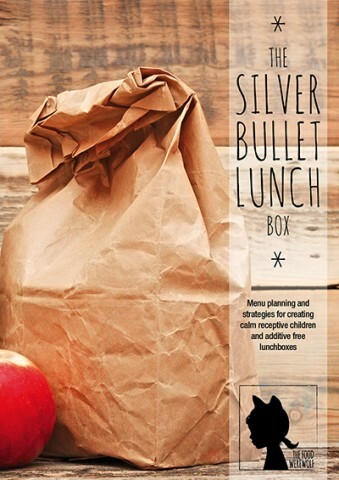 This eBook also contains a super easy survey to help you identify how man additives your kids consume and the effects they are feeling. Tip #2 Check out the labels on the foods your family currently eats. If you’re unsure how to read labels and decide which ingredients are ok, click here for a blog I have written on this very topic! What do you do if you discover your family is eating a large number of additives and feeling the effects? Put simply, avoiding additives is the solution and the key to finding balance and calm in your family. The important thing to remember is that going additive free doesn’t have to be hard and you don’t need to be an expert in food ingredients, you just need to master the process of change. Yep! The key to success is in how well you manage the transition from what your family currently eats to an additive free lifestyle. And this is what The Food Werewolf is all about folks. Making that change easier. So to start you off, I recommend checking out past blogs on this very topic of change. Type in a key word in the search bar at the top of this page and you will find a heap of blogs on all the topics associated with going additive free – from identifying what is normal behaviour for kids (and what’s due to additives), to specific tips on how to deal with the change and everything in between! So as I fumble through my sleep deprived days caring for my darling mummy dog with her babies and getting very little else done, I do hope you find a little help in the archives of my blog to get you through the process of change to an additive free lifestyle. If you need any further information or help, jump onto The Food Werewolf Facebook page and send me a message – I’m more than happy to help!